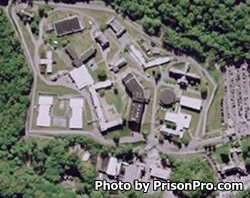 Taconic Correctional Facility is located in Bedford Hills New York, part of Westchester County. It is a medium security prison that houses females. While incarcerated at Taconic Correctional Facility inmates can earn an adult basic education and GED. Additionally, inmates can take college courses and earn credits through programs offered by several local colleges. Taconic Correctional Facility offers inmates vocational training in cosmetology, business, painting, and decorating. Alcoholics Anonymous meetings are also available to inmates, as well as substance abuse treatment services and a Female Trauma Recovery program. Visiting occurs on Saturdays, Sundays, and Holidays from 8am-2:30pm. Foster care and child advocacy have visits on Thursdays from 8am-2:30pm. Inmates are limited to a maximum of three adult visitors and one child small enough to fit on a persons lap. More visitors are allowed but you must obtain special permission well in advance of the visit.